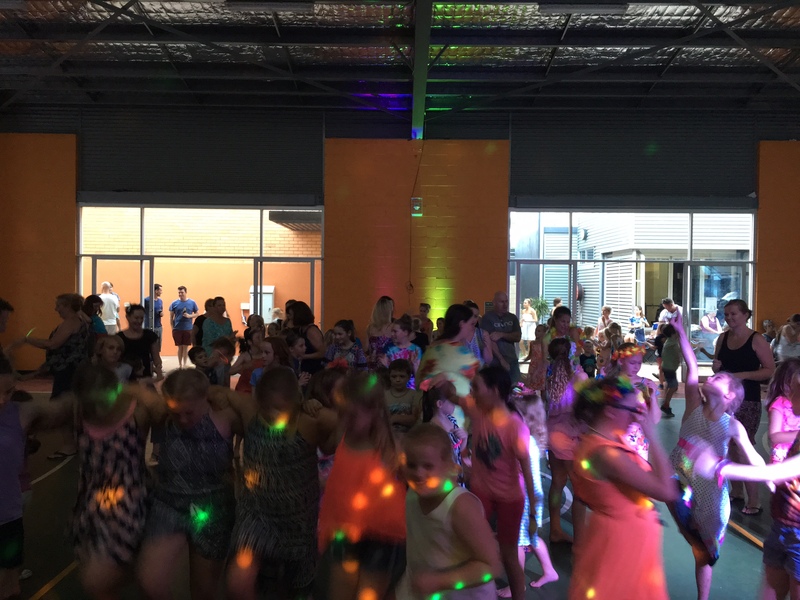 Star of the Sea Catholic Primary School out in Cleveland – had their annual School Disco at the start of the year – and although it was a pretty hot afternoon – we still managed to get everyone on the dance floor to have some fun. Their disco theme was “Tropical” so they all came dressed in their best Hawaiin outfits, along with their floral necklaces and all sorts of decorations! We had heaps of prizes to give out – 10 prizes for the boys, 10 prizes for the girls, so there was alot of competitions that we held throughout the night – including our classic Dance Off, the best dancer to the Nae Nae (…Watch me Whip) – and also we had a Surfing Contest as well where they all had to pretend they were in the ocean surfing. I brought along my Smoke Machine too and the kids loved dancing in the haze – which made it even more fun for them – and at one point we even got the Mum & Dads up for a dance too. The kids took a short break to have a drink and some food – and then it was back onto the dance floor for some more fun. They were such a great bunch of kids all well behaved and just there to have some fun and dance. A very hot afternoon/evening but alot of fun. Hopefully we can come back again at the next disco!